Anyone else itching to get some cleaning done? Warmer weather makes me want to open all the windows and get things organized and cleaned up for the new season. Goodbye winter! 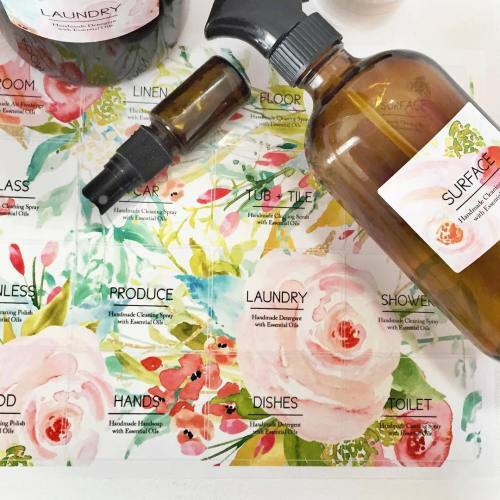 To help get you in the mood to make some fun healthy cleaners (super easy to DIY with essential oils) I made a spring floral version of my organized oils label set. Head over to my shop and a few others you can grab while you are there.